« What Values are Driving Your Organization? This article below was written by Jeffrey Sachs and published in the New York Times Opinion last week. 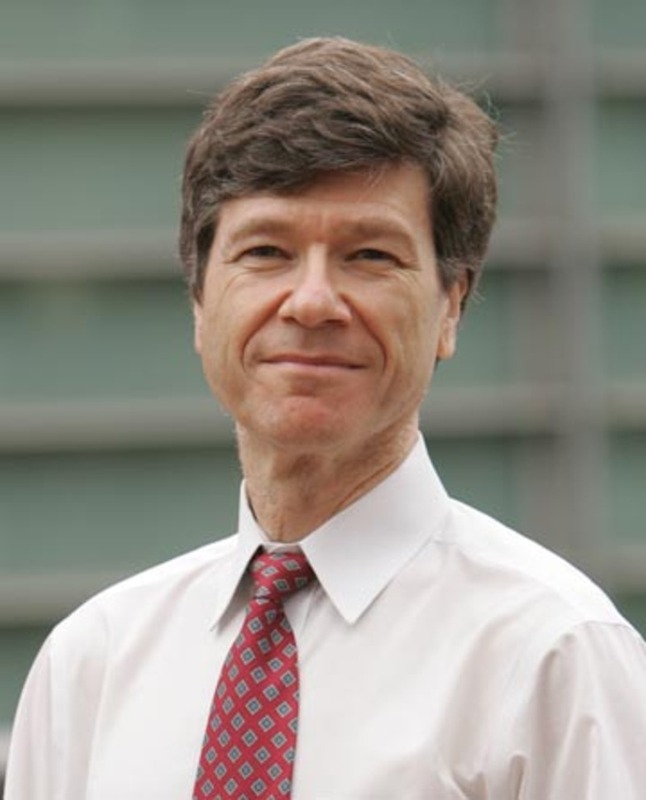 Jeffrey Sachs is the director of the Earth Institute at Columbia University and author of “Common Wealth.” From 2002 to 2006, he was the director of the U.N. Millennium Project. As 140 heads of state and government gather Monday at the United Nations for the Millennium Development Goals summit, they and the public will ask what has come out of this decade-long effort. The answer will surprise them: A great deal has been achieved, with some of the most exciting breakthroughs occurring in Africa. I recall how the Millennium Development Goals were initially greeted with cynicism — as unachievable, pie-in-the-sky, a photo-op rather than a development framework. Cynicism has been replaced by hope, born of experience, commitment and breakthroughs. Back in 2000, the situation in Africa was widely regarded as hopeless. Roughly half of Africa’s population was living on less than one dollar a day. AIDS, malaria and TB were out of control. Wars were pervasive; Liberia, Sierra Leone, Sudan, Uganda, Somalia, and the biggest of all, Congo, were all entangled in conflicts. The African economies had stagnated or declined for a generation. When my colleagues and I suggested that AIDS, malaria and other epidemic diseases could be controlled and that Africa’s economic growth could be spurred if the world helped the continent to achieve the Millennium Goals, we were often greeted with derision. Africa, I was told, was simply too violent, too corrupt, too divided to improve. A decade later, the picture has changed dramatically. AIDS incidence has declined, from an estimated 2.3 million new cases in 2001 to 1.9 million in 2008; longevity has risen tremendously, with millions of Africans now on antiretroviral treatment. Malaria is dropping decisively because of programs to distribute bed nets and provide medicines. Measles deaths fell by 90 percent between 2000 and 2008, before a frustrating uptick this past year when donors mistakenly cut back their financing for immunizations. Primary school net enrollments have risen from 58 percent in 2000 to 74 percent in 2007. Most of Africa’s major wars have subsided. Africa’s economy has also picked up. During 1990-2000, Africa’s per capita G.D.P. declined by 0.3 percent per year. Between 2000 and 2010, per capita growth was around 3.1 percent per year. And Africa has shown resilience in the current crisis, with this year’s per capita economic growth at around 2.5 percent. Extreme poverty is declining, though not yet fast enough to meet the MDG targets. The share of the African population in extreme poverty has also declined from around 58 percent in 1999 to probably under 50 percent in 2010. The Millennium Development Goals themselves deserve a lot of credit by providing a powerful organizing framework and a bold but realistic time horizon. Dozens of African governments have now adopted national planning strategies based on the Millennium Goals. Nations around the world now have specific, time-bound, outcome-oriented plans that are showing real progress because they are tapping into the synergies of poverty reduction, increased agricultural output, disease control, increased school enrollments and improved infrastructure as targeted by the Millennium Development Goals. The donor countries helped to promote major advances in public health when they created the Global Fund to Fight AIDS, TB and Malaria, and the Global Alliance for Vaccines and Immunizations. China’s economic rise has also pulled up the demand for Africa’s mineral and hydrocarbon resources. China obliged as well by becoming a major funder of Africa’s roads and power networks — critical areas where the United States and Europe have mostly stopped financing investment projects. Asia and the Middle East more recently have become major markets for Africa’s tropical agricultural output as well. African leaders, such as President Bingu wa Mutharika of Malawi, also broke old donor-led shibboleths by establishing new government programs to get fertilizer and high-yield seeds to impoverished peasant farmers who could not afford these inputs. Farm yields soared once nitrogen got back into the depleted soils. The Millennium Development Goals have always recognized the need for a global partnership to end poverty, and U.N. Secretary General Ban Ki-moon and U.N. agencies have been persistent in their support of this ambitious agenda. Ironically, though, the main obstacles to achieving the goals by 2015 in Africa are international in origin, many due to high-income countries. The first challenge is the donor shortfall in honoring specific financial commitments to Africa. Africa was told in 2005 by its donor partners to expect about $60 billion in financing from all of the world’s governments in 2010, but actual aid is only around $45 billion. The second is human-induced climate change, another visitation upon Africa from the outside world. The region that has contributed by far the least to human-induced climate change is the one bearing the highest price in terms of drought and crop failures. The third threat is large-scale corruption, often fueled by major American, European and Asian companies. Of course, it is Africa’s responsibility to resist temptations, but global companies (sometimes with the support or tacit knowledge of governments) must also stop spreading the big dollars around. The fourth threat is rampant population growth. The Roman Catholic Church, politically powerful throughout the continent, continues its opposition to birth control and family planning. The fifth threat is trade. Europe and the United States preach free trade, but then close their markets to African agricultural products. The sixth risk is that of neglect. President Obama has spent only one day in sub-Saharan Africa, and has hardly said a word about the Millennium Goals to the American people. Ironically, it is the precisely the goals themselves, rather than hundreds of billions of dollars of annual military spending, that can offer the U.S. and other countries a path to security in places like Afghanistan, Yemen and the Horn of Africa. The world leaders will agree on the right principles at the summit: targeted investments for agriculture, education, health, energy and microfinance; gender equality; the complementary roles of development aid, trade and private financing. The real question is whether the rich countries will deliver what they’ve promised in the five remaining years, after having fallen far short in the first 10. When the donor nations have not just talked but have actually pooled their funds to support the national plans of poor countries, the speed of advance has been breathtaking. The Global Fund to Fight AIDS, TB and Malaria is the right model. If donors will match that successful effort with similar pooled support in areas such as smallholder agriculture, primary education, primary health, family planning and infrastructure, Africa’s leaders can do the rest. On their 10th birthday, the Millennium Development Goals offer the world a realistic path to ending extreme poverty. This entry was posted on September 20, 2010, 10:00 am and is filed under Observations. You can follow any responses to this entry through RSS 2.0. You can leave a response, or trackback from your own site.